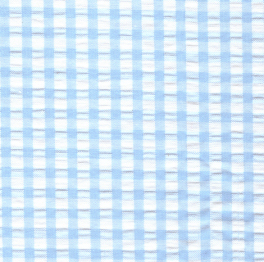 Seersucker Check Fabric – Aqua Blue. 100% cotton seersucker. 1/4″ check. 60″ cotton fabric. 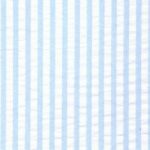 Pair it with our Seersucker Stripe Fabric in the same color below.